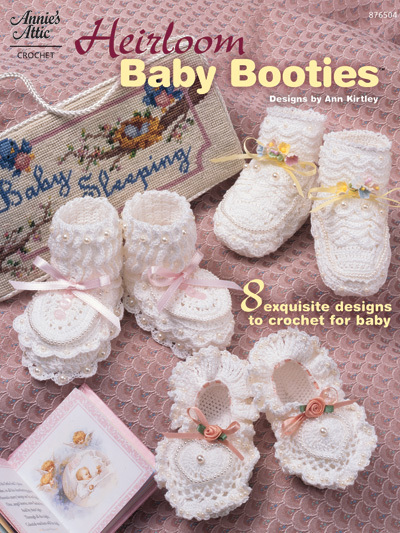 You asked for us to bring this popular Annie's pattern back, and we listened! 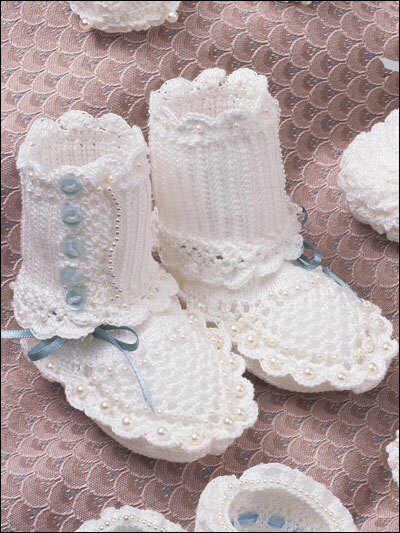 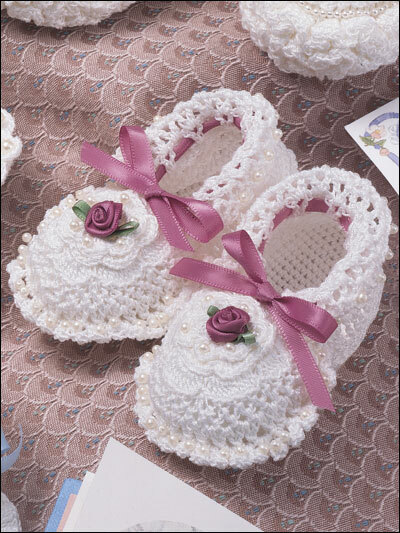 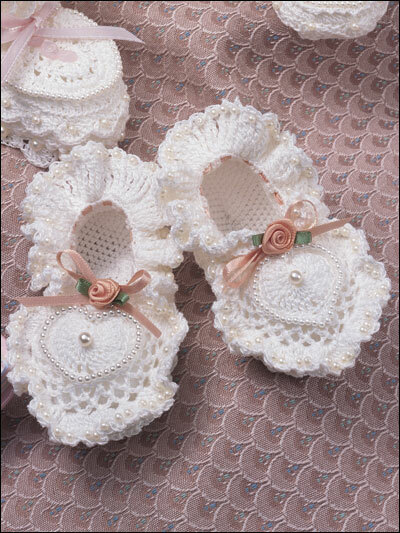 Dress your little one -- boy or girl -- in these enchantingly romantic booties reminiscent of a bygone era. 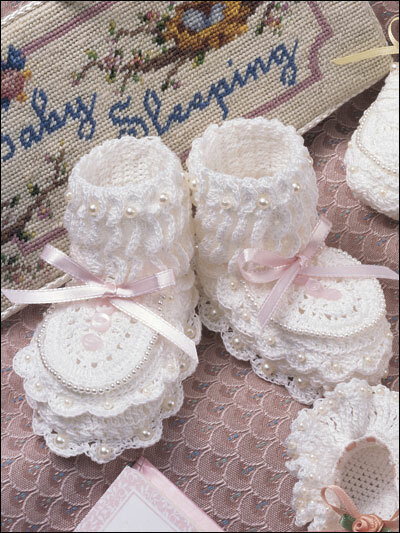 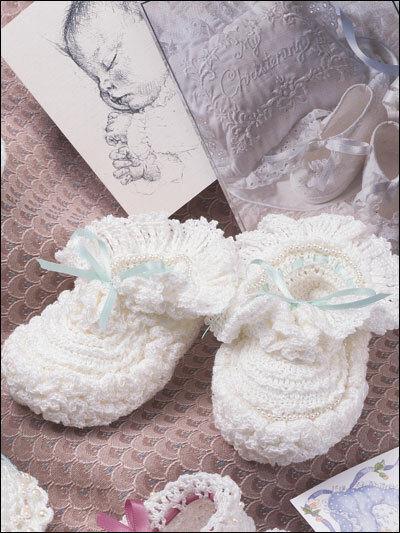 Crocheted from size 10 cotton with bead and ribbon accents, these 8 precious pairs will be treasured heirlooms when baby is older.